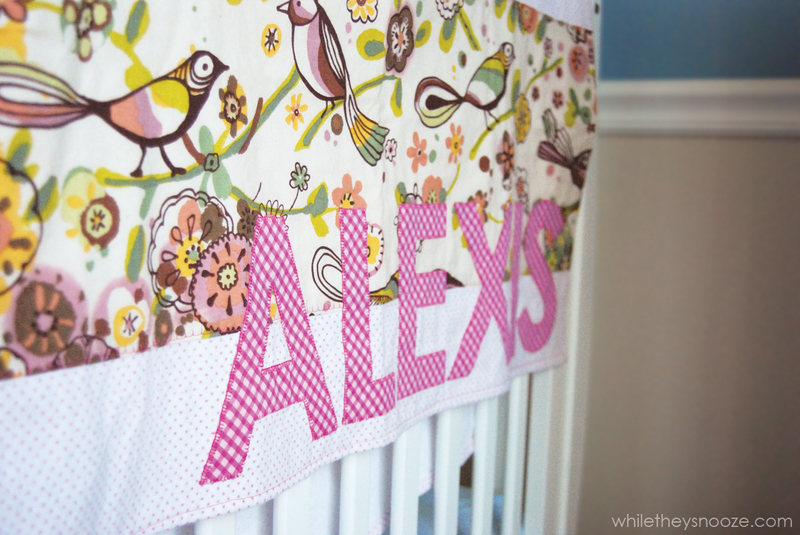 Here's an example picture of some things you could use to make some personalized baby awesomeness. 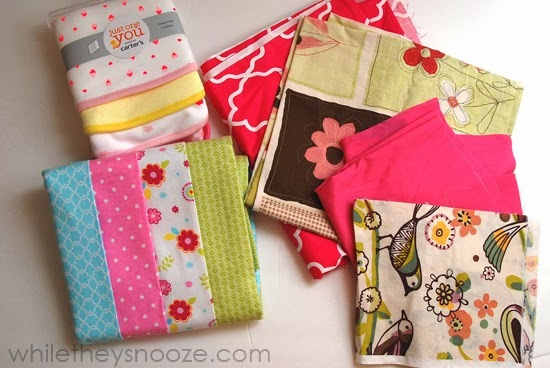 Receiving blankets and burp cloths on the left, fabric scraps from my stash on the right. 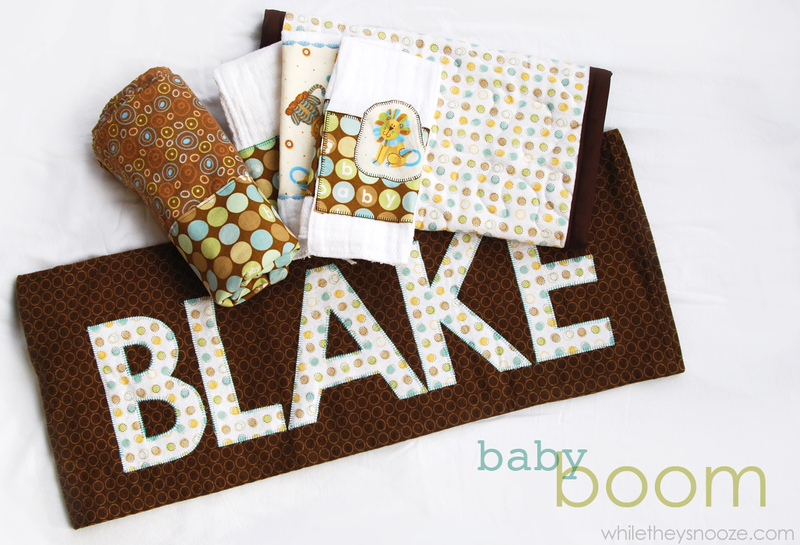 Print out whatever name (or shape) you will be adding to the blanket. 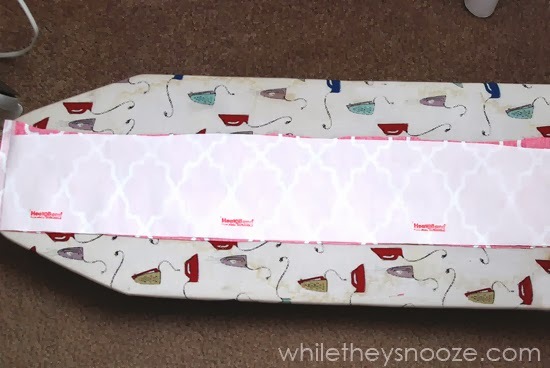 Print it out the exact size you want it to be when it's sewn on the blanket. I'd also suggest using a very simple bold font. Doesn't matter how many letters fit on a page, you'll be cutting them apart in a sec. 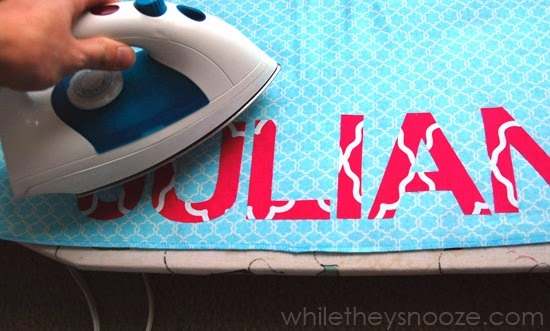 Iron a sheet of Heat N Bond to the back side of your fabric (not your blanket). You just need enough to fit all of the letters you just printed out. Follow the directions on the package of Heat N Bond for this. It's pretty easy. 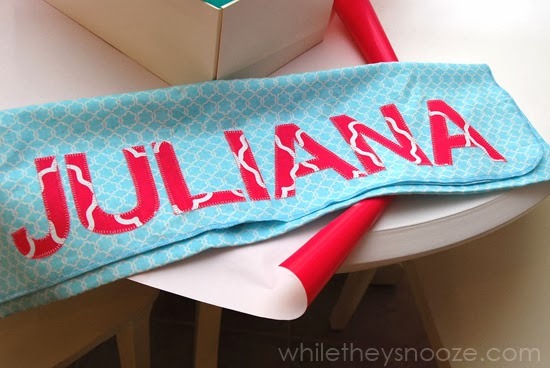 Cut out the letters fairly close to the edges (doesn't have to be perfect) and make sure they fit on the fabric/Heat N Bond combo piece you just ironed. Now, flip the letters over. 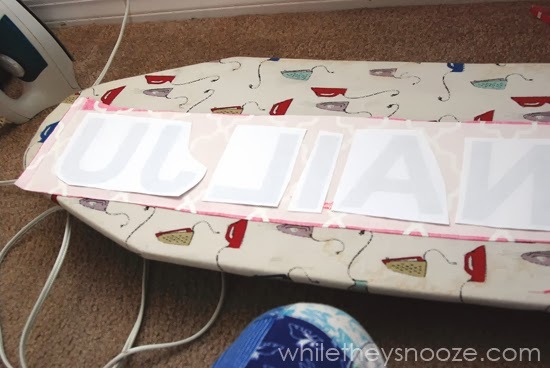 If you can see through your paper to your printed letters, you're good to go. If you can't, you're going to need to cut the letters out precisely. I could see though just fine. 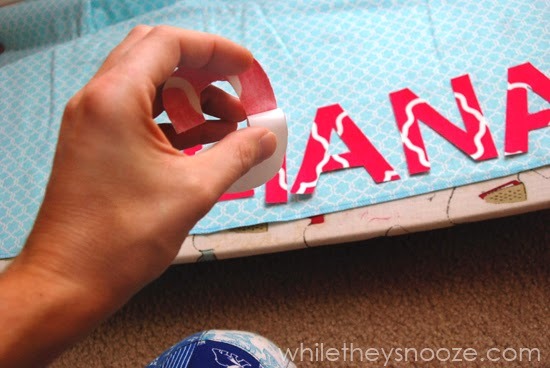 Tape your letters down and cut them out. Remember, your letters should be facing down so you see the backs. The front will the the fabric. 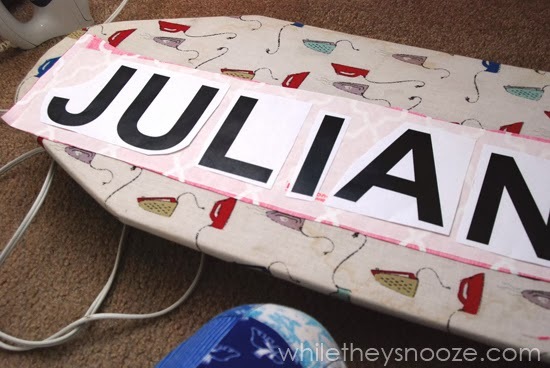 After all of the letters are cut out, peel off the white backing from the Heat N Bond. 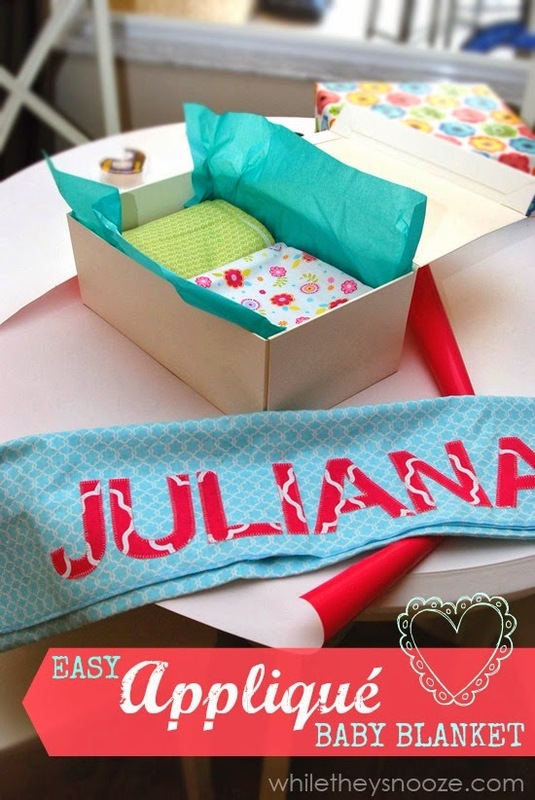 Then arrange the letters how you'd like them on your blanket. Iron those suckers in place. The directions say to hold the iron on for about 20 seconds. 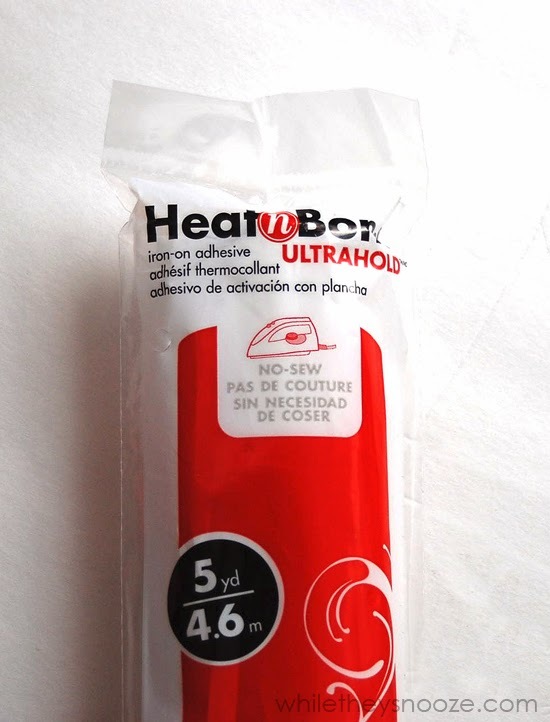 Now, you could be done at this point since Ultra Hold Heat N Bond is technically "no sew". However, I know how often baby blankets get washed. They might hold up great, but there's only so much baby puke and Tide anything can tolerate. I'd keep going and add a stitch. Plus, it looks fancy. 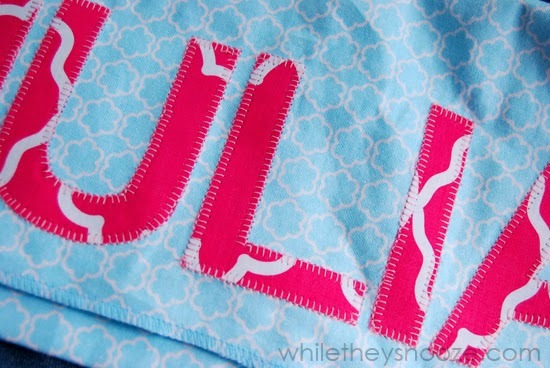 Add a decorative stitch around each letter. Letters with holes in them (like this A) are a bit tricky. 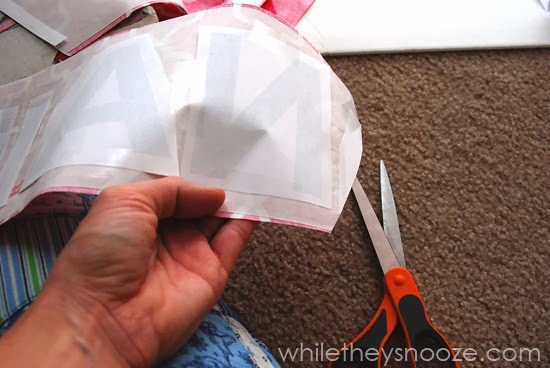 Just make sure you sew the center edges too. I chose a blanket stitch. And that's it, you're done. You could probably have one of these done in an hour. I have a bookshelf quilt top I've been avoiding quilting because I didn't think you could sew through Ultrahold heat n' bond. Did you use a special needle? This is so impressive, Sarah! 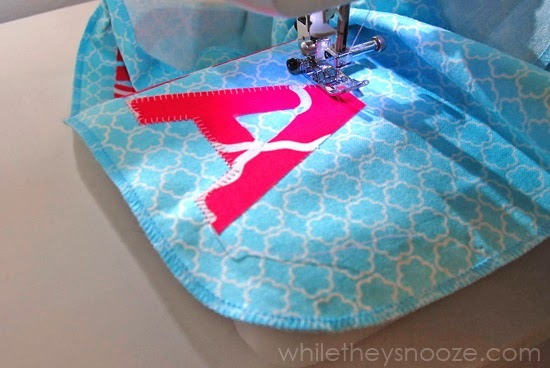 I've only done a few applique projects, so I'm still a little bit intimidating by the stitching party...but yours looks so fabulous, I think I might need to try one of these blankets. Pinning! Thanks Lauren! You know when you reply to someone in your head and don't really do it in real life? Yeah, that's what happened here. lol Thanks for the love! As far as the stitching part... do you back stitch at the beginning and end of each letter? I don't have much experience with sewing so I'm worried about the stitching coming out? 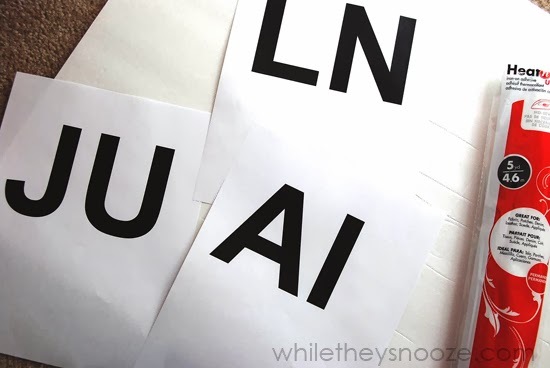 But I also want a uniform look across the entire letter on all of the letters...hope I make sense! Yup, makes sense! 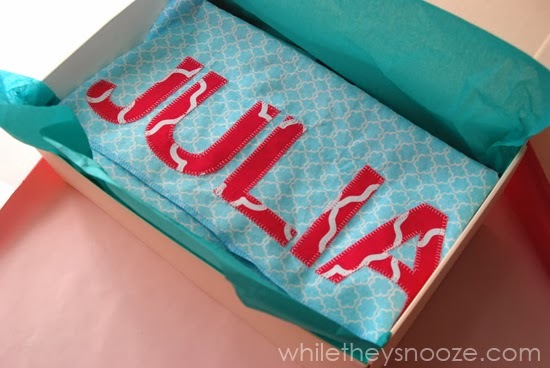 Yes, backstitch at the beginning and end of each letter. You just need to backstitch maybe 2 or 3 stitches and its hardly noticeable but will hold things together. Hope that helps! Thank you! I think this is my project for this coming weekend! !